Serve this richly flavoured bread with a ploughman’s lunch of chutney, pickled onions, apple and celery slices, radishes and your favourite cheese. Mix the flours, salt and yeast in a bowl. Add the treacle, 100ml/3½fl oz of the water and 150ml/5fl oz of the ale. Using your hands, stir the ingredients together until all the flour leaves the side of the bowl. Gradually add the remaining ale and water if needed - the dough should be soft and all the sides of the bowl should be clean. Tip the dough onto a lightly floured surface and knead for 5-10 minutes. The dough will be wet initially but will become smooth once worked. When the dough has a smooth skin put it into a lightly oiled bowl. Cover with a clean cloth and leave for two hours. For the topping, mix the ale with the rye flour and a pinch of sugar to form a thick batter. 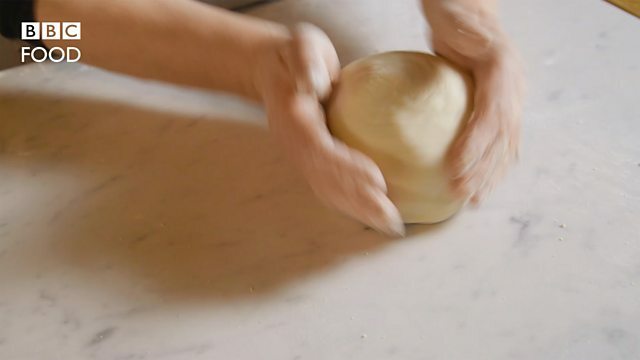 Tip the dough out onto a floured surface and shape into a ball. 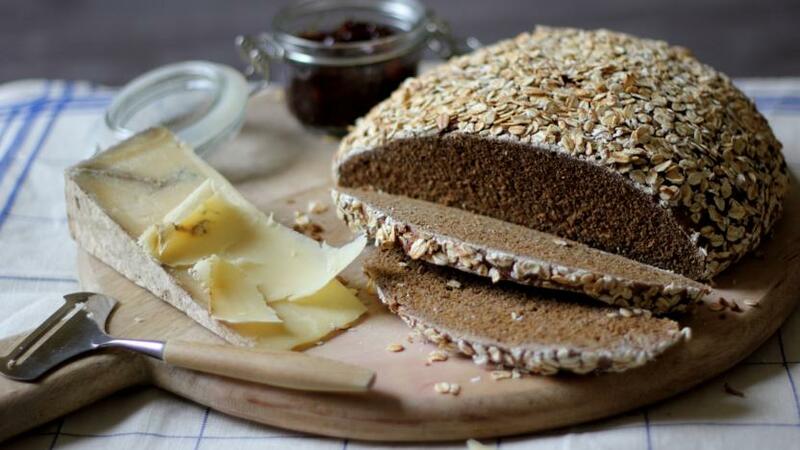 Spread the ale paste over the loaf and sprinkle over the jumbo oats. Place the loaf onto a baking tray lined with parchment. Leave to prove for one and a half hours. Bake for 25 minutes. Reduce the oven temperature to 200C/400F/Gas 6 and bake for a further 10 minutes. The loaf will be golden-brown and should sound hollow when tapped on the base. Leave to cool on a wire rack.